The Nut Shoppe has satisfied sweet tooths in Goshen, Indiana for over 25 years. 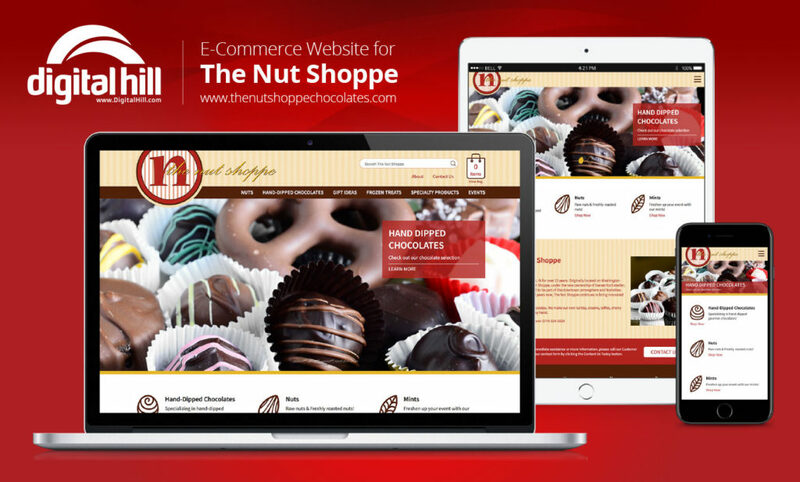 Their new website, www.thenutshoppechocolates.com, connects the Nut Shoppe with even more customers. The site is as much as a delight as their confectioneries. A gallery with mouth-watering treats sits on the front page. With the search, navigation bars and item bag, customers can navigate the site quickly. Nuts, chocolates, and other products are organized so that customers can easily find what they’re looking for. Along with an attractive design, the site has 2 features that are perfect for both the Nut Shoppe and the customer. E-commerce stores help extend a business beyond its physical location. Therefore, customers can purchase gifts, mints, chocolates, and ingredients online in the E-Commerce store. Carefully arranged by category, products are presented with a picture, description, price, and size options. As they shop, their orders can be accessed through the item bag (represented by a stylized shopping bag). If they want more raspberry creams, they can change the quantity right in the shopping cart. When they are ready to buy, they can simply hit the “Checkout” button, fill out the form, and have their treats shipped. The business has full control over their store. They can add new products. Product descriptions and prices can be updated as needed. A content management system is a back-end tool that makes managing a site much easier. 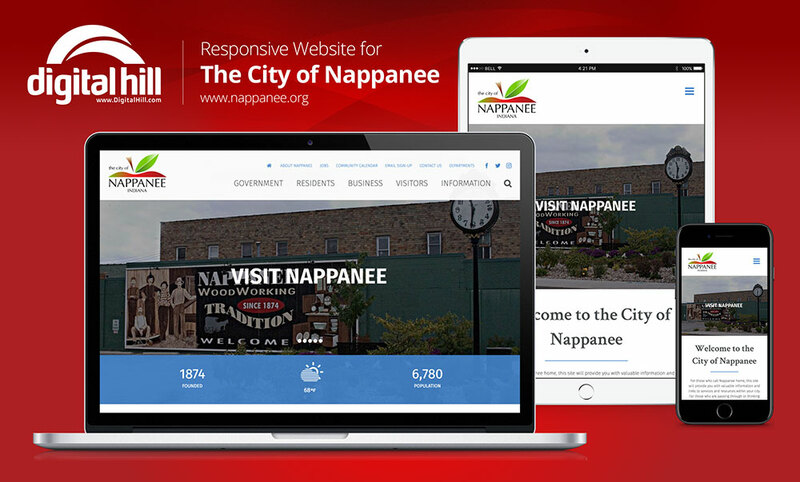 Pictures, SEO, navigation links, pages, and the footer can be changed to whatever the Nut Shoppe desires. Digital Hill’s CMS is perfect for the nontechnical user who wants to skip coding and get straight to business. With a CMS, multiple users can login in from anywhere and update the site. Site maintenance becomes streamlined as content management becomes collaborative and simple. Want to quickly edit a product page? The CMS allows someone to modify a particular portion of the page without changing the others. This allows admins to keep the site’s appearance and themes consistent. The Nut Shoppe isn’t reliant on an outside vendor for site management. Designed by Digital Hill, thenutshoppechocolates.com, is an attractive E-commerce website that is simple to navigate, quick to edit. It’s ideal for The Nut Shoppe to showcase their products worldwide. The Nut Shoppe is just one of the companies that Digital Hill has built a site for. Check us out at Digital Hill’s site for more information on our web design, CMS, and other solutions.